You can either visit help.scrumpy.co.uk or you can click on the blue question mark in the bottom right hand corner of your admin and type in your question here. 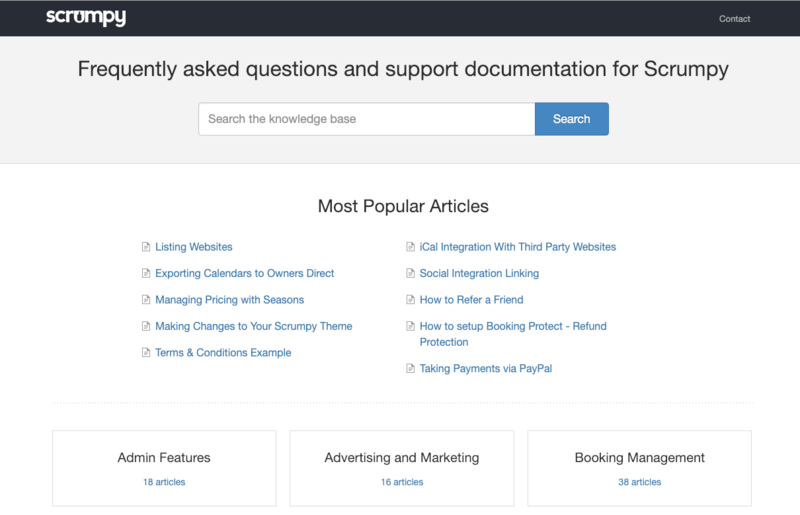 If you are unable to find an article based on your query or would like further help then you can always send an email to help@scrumpy.co.uk. This inbox is monitored by multiple members of staff and we will do our best to get back to you as quickly as possible. We love to see people making a success of their business through using SCRUMPY and are always here to offer guidance and support in helping you to do so.